doing their first 5K, this was an all inclusive event that filled our streets with good cheer on a near perfect November morning. 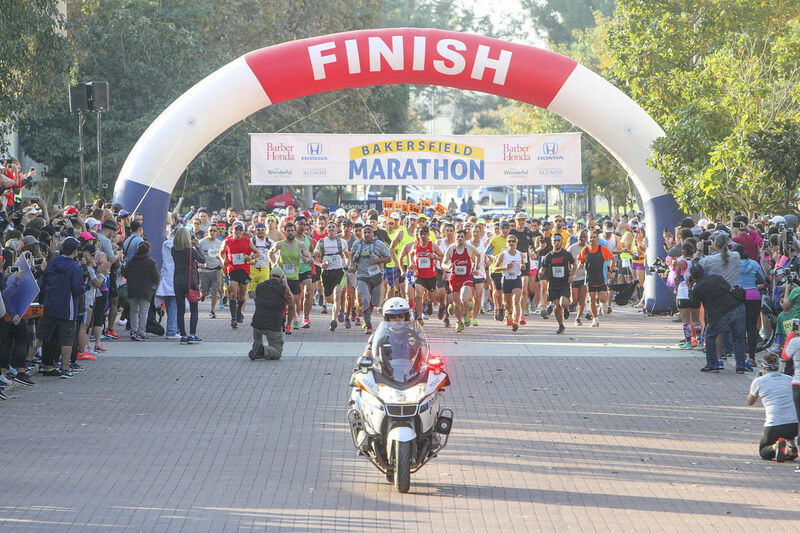 Across town, from the southwest to Panorama Drive, neighbors met on the street, coffee mugs in hand and dogs in tow, to watch the runners pass. When was the last time an event like this brought so many of us together? * ... VETERANS DAY: I wish the same could be said for the annual Veterans Day parade, but shame on those parade goers who thought it was okay to leave their cups, soiled napkins and fast food wrappers along the parade route. Here's a thought: next year let's hire folks (the homeless?) to walk the route with empty trash bags to encourage people not to litter. * ... TRUMP: If you start noticing people wearing safety pins on their shirts or blouses, there is a reason. 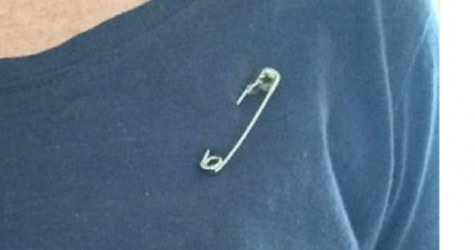 The idea: people who have felt insulted or maligned by Donald Trump are being urged to wear a safety pin as a show of solidarity against our president elect. * ... SPOTTED ON TWITTER: "You can’t buy happiness, but you can buy a huge house and cry in any room you like." * ... NEXT GENERATION: When I moved to Bakersfield more than two decades ago the community leaders included people like Jim Burke, Ray Dezember, Wendy Wayne, John Petrini and Eric Matlock, all tremendous people who have since died. I was thinking of them recently when a group of Bakersfield's "next generation of community leaders" gathered for dinner to support Bakersfield Memorial Hospital Foundation’s Miracle Society. These young philanthropists include Lindsay and Nick Ashley, Gianna and Ken Beurmann, Stacie and Clayton Campbell, Antone Chicca, Jen and Dan Clifford, Lauren and Jeremy Helper, Elizabeth and Jeff Holz, Jill and Morgan Houchin, Jen and Dawson Li, Nicole and Jacob Panero, Lara and Michael Riccomini, Anna and Austin Smith, Victoria and John Trichell, Jennie and Beau Woodward and Briana and Dominic Zaninovich. Miracle Society donations this year enabled the purchase of a motorized gurney to transport patients who arrive at Memorial Hospital via air ambulance. * ... HARBOR FREIGHT: When did the Walgreen's on White Lane become Harbor Freight tools? * ... GOOD FORM: And finally there was this note from Mark Schaefer: "As a proud father of a student and husband of a teacher there, I have to say the annual Veterans Day celebration at Veterans Elementary School in the Norris School District was another wonderful event. Since opening in 2006, they have stayed true to the school's name during the week of Veterans Day. Monday night was another packed event with thank you letters to veterans written and read by students, patriotic singing, a guest speaker, and a flag planting ceremony by all the families in attendance. Nearly 1,000 attended this celebration, and made me proud of our school and community yet again! I can't wait to do it again next year."